Browse through our selection of events in Portugal and add your own using the form below. Free concert of New Orleans Jazz, swing and Cajun music with The Dixie Kings from 8.30 every Monday open to all - just drinks from the bar. The Purple Fez Club are a five piece band based around the Silves area, they play mostly their own material in the genres of Alternative Americana, Folk with a twist of Cajun. 28 April, 9.30pm, Museu do Traje, São Brás de Alportel. 3 & 4 May, from 9pm. Teatro Ibérico, Lisbon. Tickets from €15. We will be back in Almadena on Friday 3rd May, hope to see you all for an evening of dancing & fun! This two-day writing salon will explore the power of storytelling, narrative and writing. Within an intimate and safe environment, we will introduce engaging, creative exercises and writing practices to explore personal narrative and sense-making, all through the exploratory tool of reflective writing. Whant to add an event? It's FREE! Please note that event times and dates are subject to change without notice. 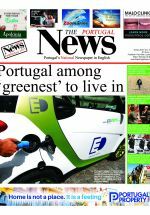 The Portugal News has the right to refuse any listings.